Ideal Tax Solution, LLC is notifying taxpayers who turned 70½ in 2012 that they must start receiving required minimum distributions (RMD) from IRAs and workplace retirement accounts as of April 1, 2013. RMD payment deadlines are one of those IRS requirements easily overlooked by many taxpayers. Ideal Tax Solution, LLC is contacting all current and potential clients regarding a recent announcement made by the IRS which is a reminder for senior taxpayers of the need to begin receiving their RMD by April 1, 2013. The required distribution applies to taxpayers who turned 70½ in 2012 and only for the required distribution for the first year. For all subsequent years, the RMD must be made by December 31. The April 1st deadline does not apply to Roth IRAs. It generally also applies to participants in various workplace retirement plans, including 401(k), 403(b) and 457 plans. Additionally, Ideal Tax Solution is reminding taxpayers who turned 70½ in 2012, that even after receiving the first required payment on April 1, 2013, they must still receive the second RMD by December 31, 2013. Although the April 1st deadline is mandatory for all owners of traditional IRAs and most participants in workplace retirement accounts, some owners of workplace plans can wait longer to receive their RMD. Having a thorough understanding of RMD requirements and qualifying factors is an essential part of the professional tax services available at companies like Ideal Tax Solution. As a general rule, employees still working can wait until April 1st of the year after they retire to start receiving RMD if their plan allows. 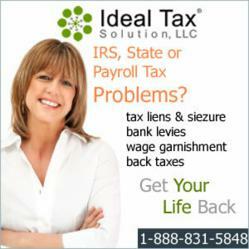 The tax professionals at Ideal Tax Solution are also educating taxpayers who were employees of public schools or certain tax-exempt organizations with 403(b) plan accruals before 1987, to contact their employer, plan administrator or provider for an explanation regarding how to treat these accruals. The IRS is encouraging taxpayers to begin planning now for any distributions required during 2013. For additional information on RMD, taxpayers can contact Ideal Tax Solution or visit the IRS website.